Westin HDX Rear Bumper 09-18 Dodge Ram Dual Exhaust w/Sensors Westin HDX Rear Bumper 09-18 Dodge Ram Dual Exhaust w/Sensors, Rear Offroad Bumper 09-18 Dodge Ram, 09-18 Dodge Ram Rear Bumper, 09-18 Dodge Ram Off Road Rear Truck Bumper, 09-18 Dodge Ram Custom Rear Bumper, 09-18 Dodge Ram Steel Rear Bumper, 09-18 Dodge [Westin 58-260915S Ram Bumper] - $1,399.99 : 3rd Strike Performance, Your Source for Late Model MOPAR Performance Parts and Accessories! With one-piece fully welded construction, 1 in. thick heavy-duty shackle mounts, and laser-cut logos, Westin HDX rear bumpers are prepared for action. They include mounting brackets, two LED flush mount lights, and license plate identification lights. 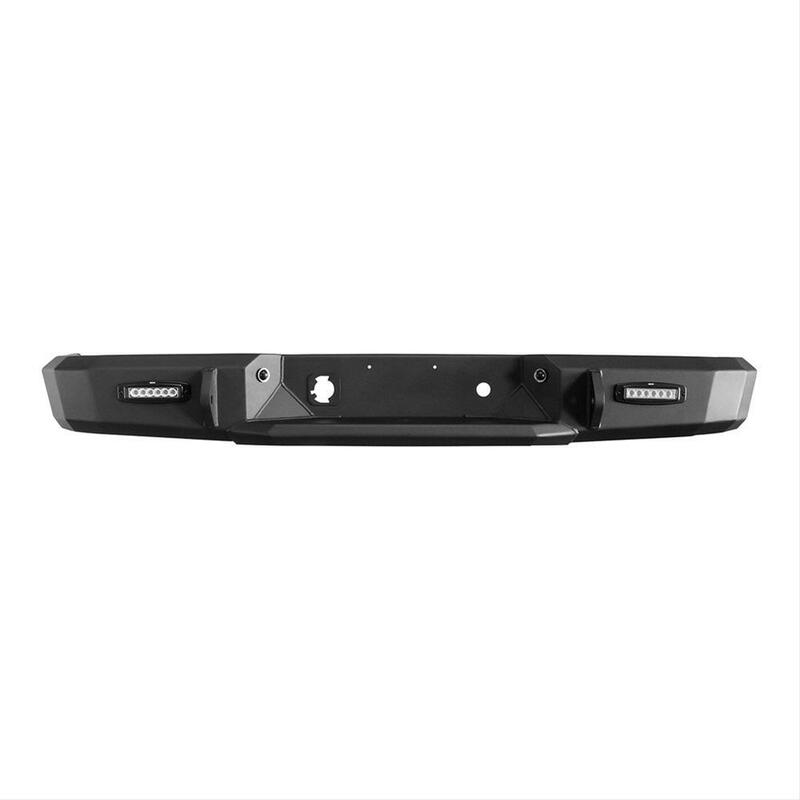 These bumpers are available with a black textured powdercoat or a raw finish for your own customization. With 3/16 in. thick (7-gauge) steel construction, Westin HDX rear bumpers are ready to explore. Notes: For Dual Exhaust models only. Fits models originally equipped with back up sensors.